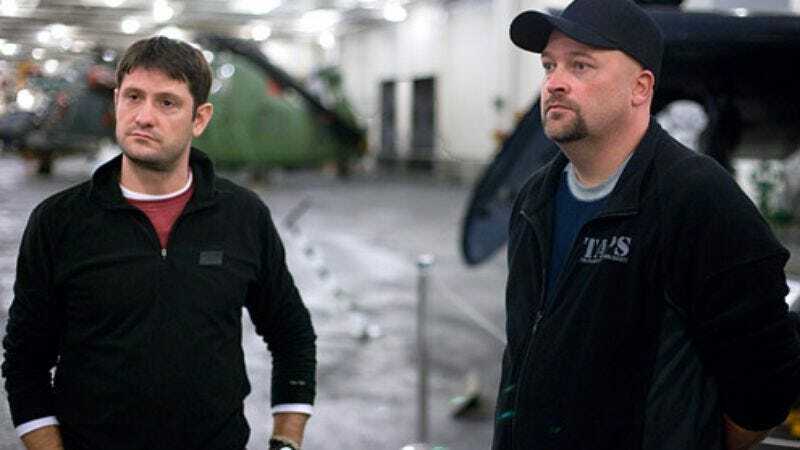 Proving as dogged in its belief in its ghost-themed series as the shows’ paranormal investigators are in the apparitions they seek, Syfy has opted to renew Ghost Hunters and Paranormal Witness for an 11th and 5th season, respectively. Both series just aired their season finales, and now each has received a 13-episode order for 2016, which they can spend chasing their tails—er, hunting ghosts—at abandoned mental hospitals or whatever locales spooky beings like to inhabit. We hear Hellevators are pretty popular hangouts for otherworldly beings. But all skepticism aside, Ghost Hunters remains one of Syfy’s highest-rated programs, and Paranormal Witness performs respectably as well. What this could mean is that audiences are hoping that hunters Grant Wilson and Jason Hawes are able to confirm the existence of ghosts about as much as they want meteorologists to accurately predict a Sharknado.